Inspired by Asos White cropped top. 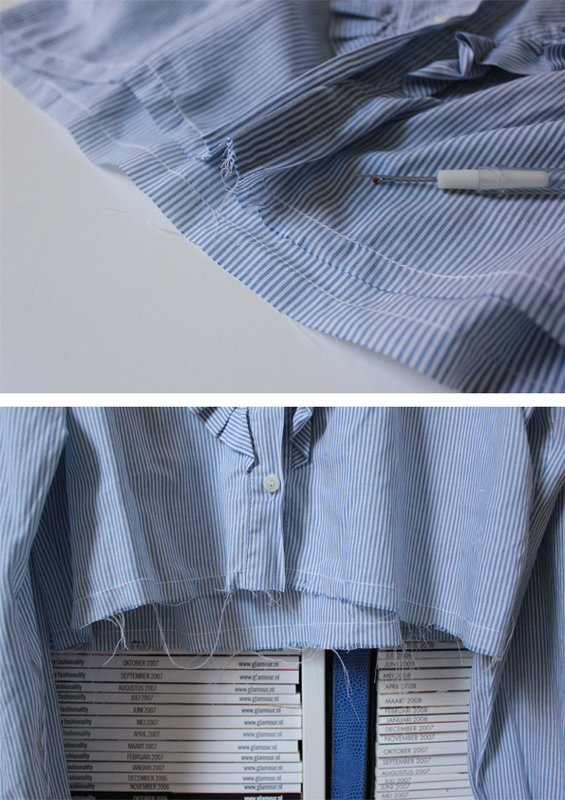 Striped blouse, scissors, measure tape, needles, sewing machine. 1. 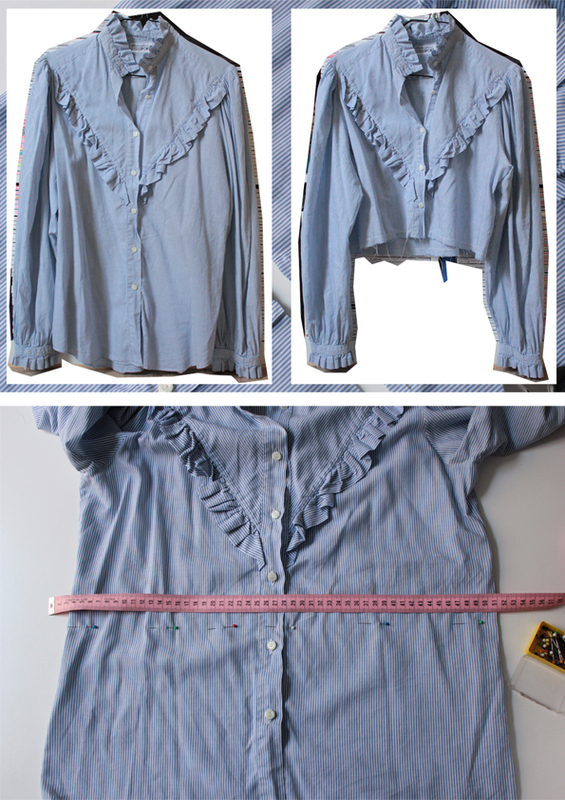 Measure how 'cropped' your blouse needs to be, pin it down. 2. 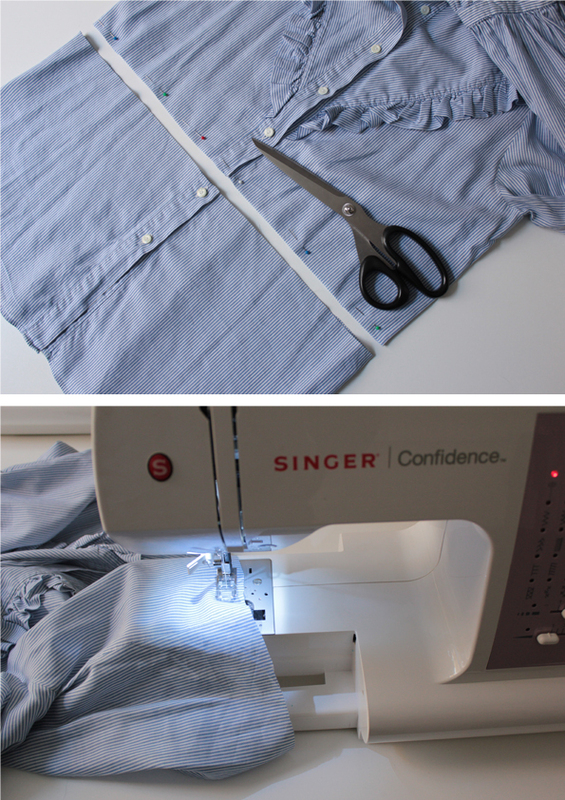 Cut the bottom half of your blouse, just beneath the pins. 3. Sew the seam, don't fold the hem, leave it unfinished. 4. Use a needle to loosen the fabric at the bottom, revealing white threads. thanx for your lovely comment! !u have a nice blog, do u mind follow each other? soooo cute love the idea! It's a very DIY and it's a brillant idea. Love the result. Heel leuk gedaan, in één keer is zo'n bloesje dan super! great idea, it looks so much cuter cropped!